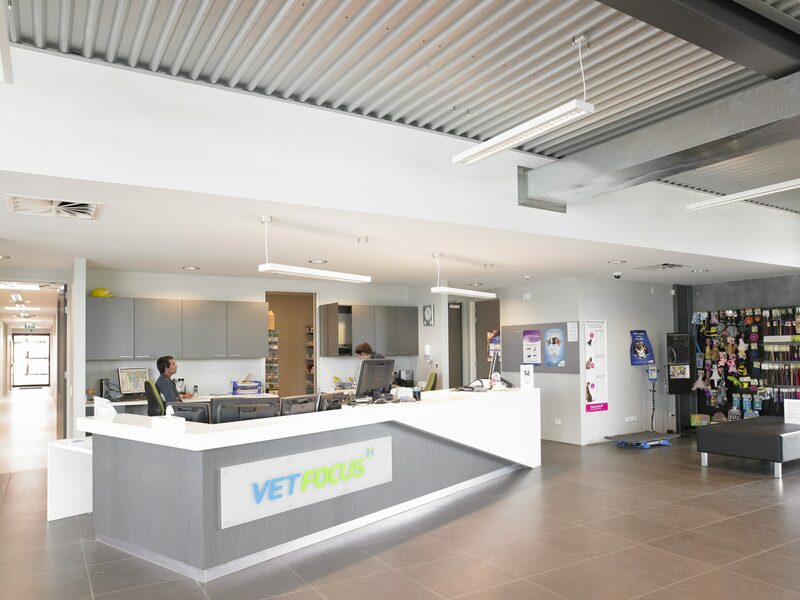 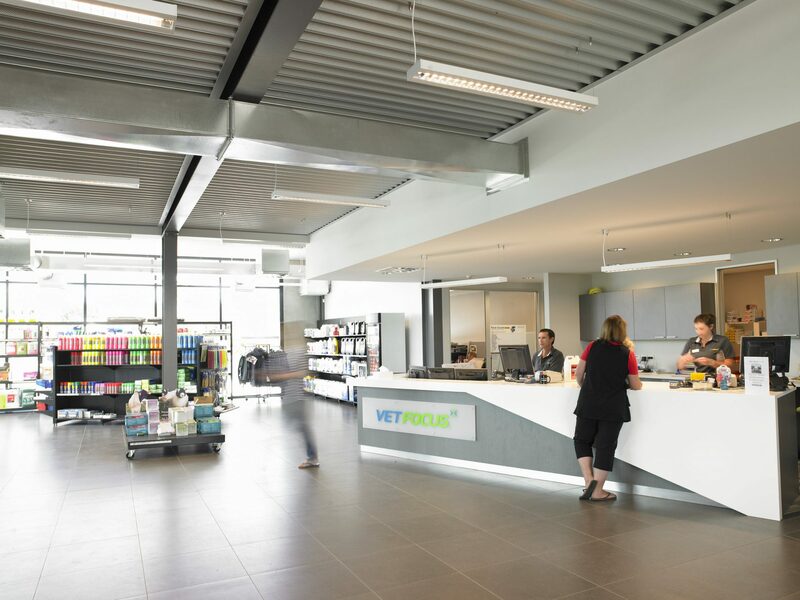 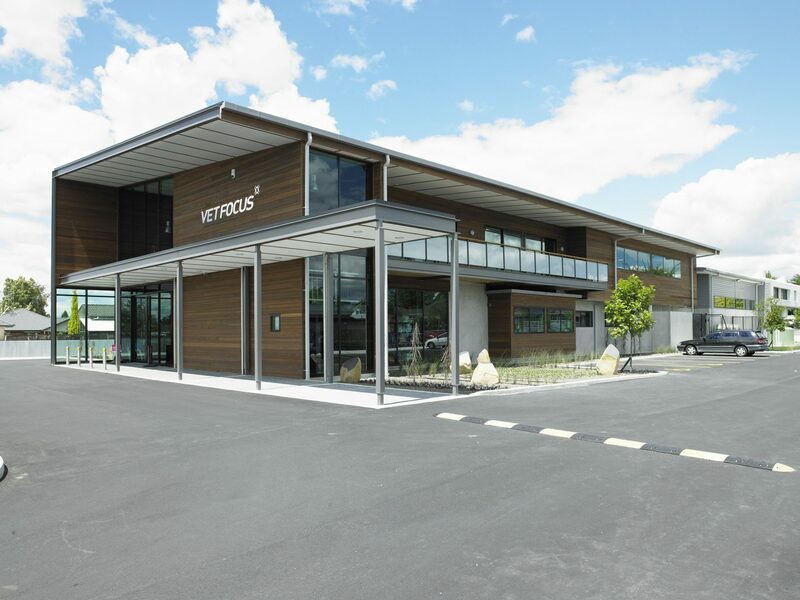 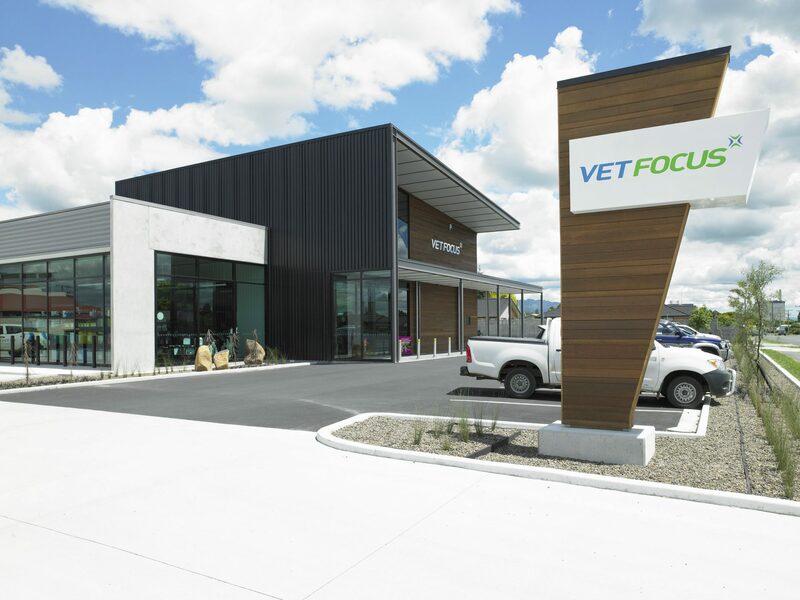 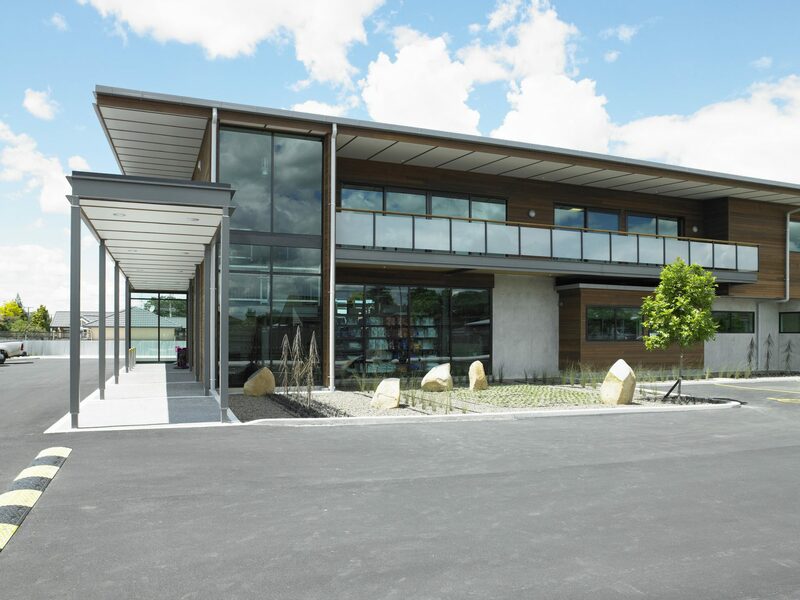 The flagship VetFocus (now Vetora) is situated on the fringe of Te Awamutu's main street in the small rural Waikato Township. 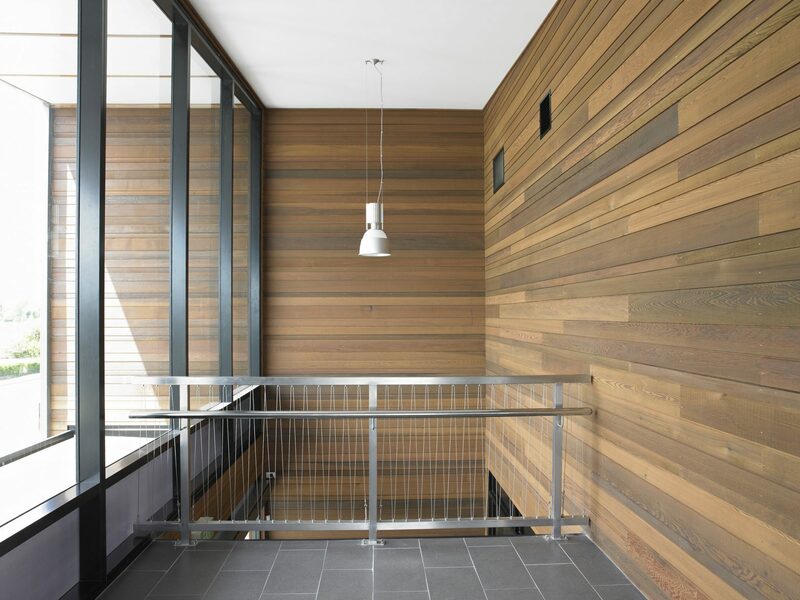 Conceptually the building works to become a familiar extension of farm buildings and infrastructure so visually apparent and abundant in the area utilising a palette of milled, sustainably grown rusticated timber weatherboard, black colorsteel cladding and raw finish precast concrete. 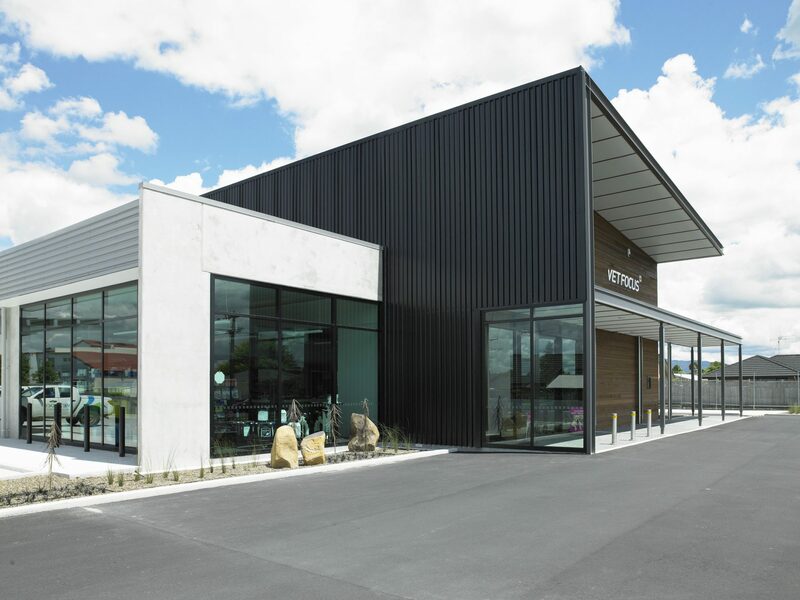 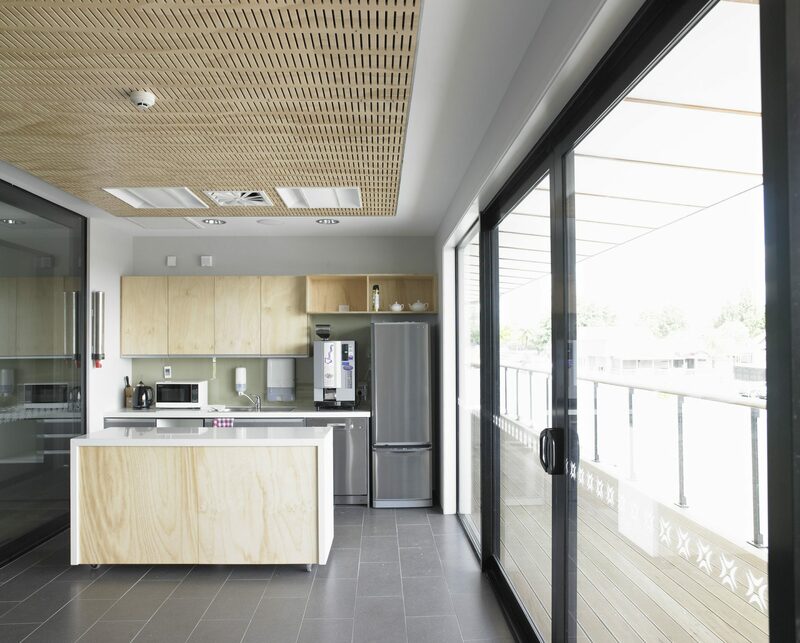 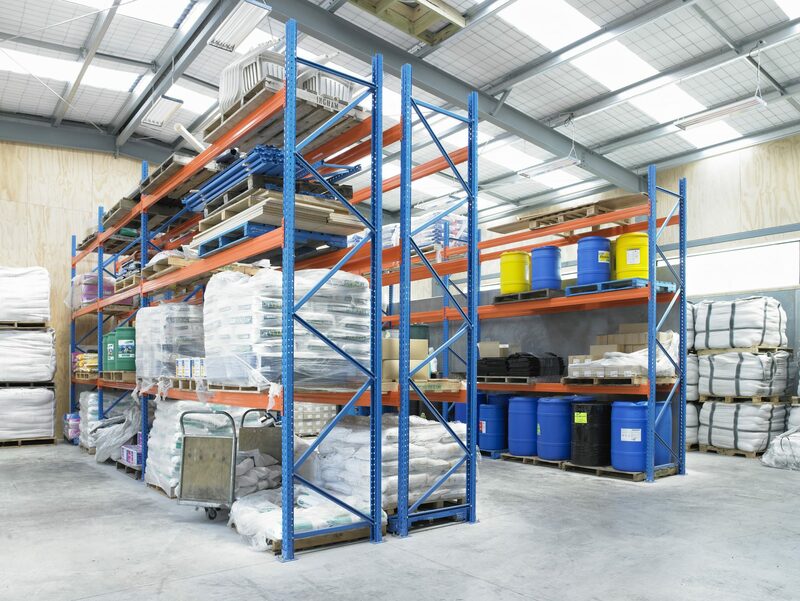 Materials are simple, functional and true to their word, much like that of rural kiwi values.